Imagine booking an Airbnb or a hotel room, only to find out later that everything you said, and did inside that accommodation were live-streamed directly to the owners. A massive violation of privacy. This is, basically, exactly what happened to this New Zealand family visiting Cork in beautiful Ireland. CNN reports that the Barker family made a rather unsettling discovery shortly after checking into their Airbnb apartment. Nealie and Andrew Barker, along with their kids were busy travelling the world on a 14-month trip when stopping over in Cork. CNN reports that after the family unpacked and settled in, the dad who works in IT security scanned the house's Wi-Fi network for anything unusual. This seemingly harmless scan unearthed a camera, and subsequently a live feed. From the angle of the camera, the family found the hidden device concealed in what appeared to be a smoke alarm or carbon monoxide detector. But it was a fake. Nealie said she contacted both Airbnb as well as the Airbnb host personally, both allegedly didn't seem very bothered about the incident. The CNN report mentions that the host allegedly hung up on her after complaining. 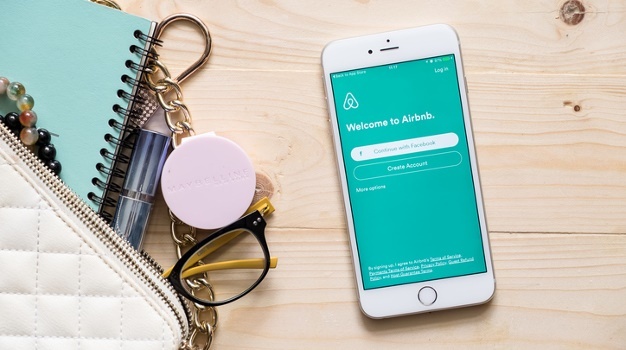 Airbnb told CNN in a statement that its policies prohibit hidden cameras and that if any are present inside the accommodation, it should be detailed in the listing. The pitfalls of unregulated accommodation in a shared economy? Indeed. Let the apps do the work. The best ones, according to Slate, are Angry IP Scanner, NetworkMapper, and Network Scanner. The Barker family's dad, Andrew, used Network Scanner. Scan the room for anything that looks out of place, a random can or more than two smoke detectors. Look for unusual objects, out of place on the ceiling in particular. Andrew Barker even wrote a whole post about his experience and recommends you, "Have a close look at any devices you find and see if you can see any lens. You can take photos using your phone up close with the flash or shine lights on them in the dark – the lens will usually reflect light." Here's what to look for, as hidden cameras come in all shapes and sizes. .